For the reason that we put much of our focus on the design and lighting of the interior of our homes, we tend to neglect to care for our outdoors. Despite the fact that we are bent on taking care of the plants and flowers in our garden, it that garden lighting is at the bottom of our lists when it comes to our overall home design. Perhaps, we just do not think or know the importance of an outdoor lighting. 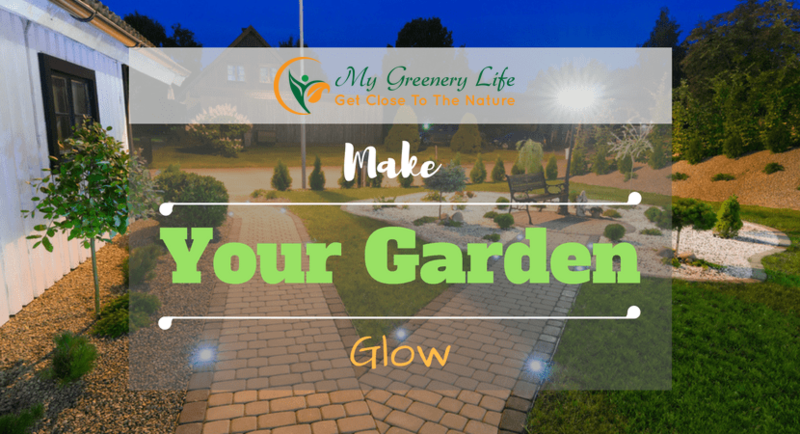 Or, maybe, we worry more about the cost and labor that comes with lighting your garden and less of the aesthetic and practical benefits that outdoor lights provide to our home. 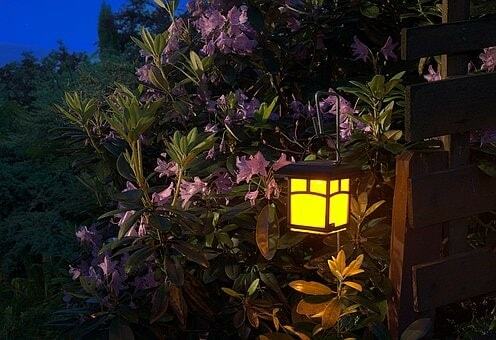 Just a gist, outdoor lighting brings beauty to your exterior by emphasizing garden focal points such as a stunning collection of plants, or in generating a particular mood or ambiance for different styles of landscape designs. Not only that, but it also has safety and practical purposes, as they can be able to light pathways, grill area, or an outdoor dining table. If you now have a change of heart and eager to bring the focus this time in lighting your outdoor areas, here are some modern lighting fixtures that you can utilize to your advantage. Well, you know about a thing or two about string lights, for sure. They are the type of lighting fixture that has the power to turn your plain, ordinary, and common living space into a magnificent one. In short, it turns your garden into something magical. String lights are also affordable and prove to be an easy way to illuminate and beautify your garden. You can hang them on a tree or over a small seating area, and get ready to make your heart leap when you see them illuminate your garden. Lanterns are a type of lighting fixture that can do the work of combining both retro and modern aesthetic for your garden. 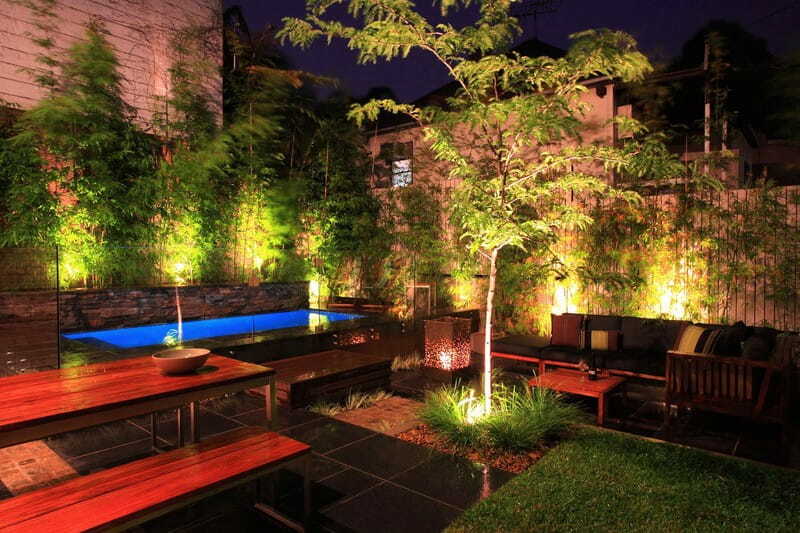 They have become a popular choice for lighting an outdoor space because they add a vibrant and pleasing atmosphere. Lanterns are also handy and easy to move around if you want to transfer them from time to time, and they come in a wide range of styles and designs that will surely satisfy your aesthetic sensibilities. You can place them at the corners of your garden, beside the dining table on your patio, or on both sides of your lovely walkway. The traditional lanterns use candles as light, but modern ones use LED for both safety and energy-saving purposes. Bollards are an excellent modern lighting that provides a particular mood and ambiance to your walkways and driveways. Aside from the beauty they create, they also have a practical function to give a clear direction for you and your guests by illuminating a particular area of your outdoor. It is highly advisable that when you place them along a walkway, you set them sparingly at wide intervals from each other. By this, your walkway will assume a lovely contrast of light and shadow during the night. Well, lamp posts and bollards share similarities when it comes to their structure, but the former has more in height than the latter. Like bollards, lamp posts can provide a clear direction and safety by illuminating your walkways and driveways. It is also excellent not only as a light source but also in adding charm, character, and elegance to your garden landscape. Yes, you will see lamp posts on the market that come in traditional styles, but there are modern ones which are solar-powered that are excellent to complement a contemporary type of garden while taking advantage of sustainable energy when you use them. Do you want to pull off another magic trick? Well, aside from string lights, orb- and sphere-shaped lights also have the power to cast a spell of turning your garden into something glamorous and magical. Orbs and sphere lights come in different colors. Many people like to choose the more favorite color, which is white because it creates a modern and elegant mood when you hang them over to illuminate your garden and patio. But if you want to set a fun atmosphere for it, you can choose colored orbs and sphere lights. You can hang them in a branching tree or float them in a small pond in your garden. Garden spike light is a great designer lighting that is convenient to install on a soft surface in your garden. It helps illuminate and highlight a key landscape feature in your garden such an elegant palm or a pretty pine tree. If you are worried about the high utility bill it may cost by installing spike lights in your garden, worry not. Many spike lights that you will see in the market nowadays are LEDs, meaning they are energy-efficient and environment-friendly. They also come in various colors to suit a particular style of a garden. If you want a light for your garden that is concealed and unobtrusive, in-ground light is for you. In-ground lights are perfect in providing subtle yet essential illumination for both safety and aesthetic appeal. For instance, it can add drama in casting its light under tall trees and dense foliage in your garden, while it is a staple in lighting pathways for you to walk your garden at night safely. If you think you know more about pots and planters because you have them in your garden serving as containers for your plants, think again. Pots and planters don’t do just that. They also serve a dual purpose as both plant containers and light sources. They come in a variety of sizes and colors of light that will surely accentuate your plant collections and will provide an elegant beauty to your garden. Gardens are an essential aspect of our homes. Thus, it is only necessary that we give as much attention in providing beauty to them as we do with our interiors. Choosing the perfect modern outdoor lighting is one way to provide it. You can opt for spike lights, string lights, sphere-shaped lights, or lanterns to illuminate your garden.